The impending connection of the Malawi Research and Education Network, (MAREN) to the UbuntuNet regional network is likely to be exciting news to software engineers like Soyapi Mumba who have been working tirelessly to develop systems that can revolutionise the health system in Malawi where the Internet connectivity is slow and expensive among other setbacks. Mumba and a team of software developers at Baobab Health, a company that uses locally based engineers to develop suitable solutions to address healthcare challenges in Malawi took on the challenge of helping understaffed hospitals manage HIV treatment records for a growing number of patients. These records were previously kept in paper form and were incredibly difficult to manage. The Baobab Health team created a new software system that traversed a number of problems to efficiently keep electronic health records, including the underlying infrastructure to support it albeit with many challenges chief among them being slow and prohibitive cost of Internet connection. Now with institutions like Baobab Health eligible to benefit from a dedicated high speed Internet connectivity from MAREN once the Malawian NREN connects to the UbuntuNet before the end of the first quarter of this year, engineers like Mumba can afford to dream of coming up with even more innovations. The Malawi Research and Education Network (MAREN) is being earmarked for connection to the UbuntuNet network under the AfricaConnect2 project which started in 2015 and is connecting new NRENs, upgrading and providing resilience to the UbuntuNet network. 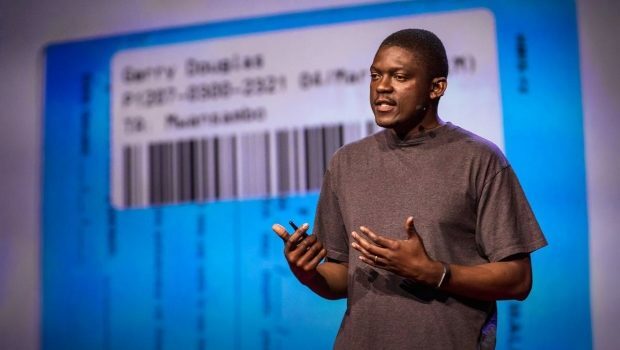 When Mumba, a TDE fellow spoke at a TED talk in Arusha, Tanzania this past August, he inspired his audience with a story of how low the Internet uptake in Malawi is and how he and his team overcome the odds to produce phenomenal results with medical tech in Malawi. Discussing his experience in building and re-purposing the tech needed to address a number of issues with medical, and specifically HIV treatment, Mumba explained the need to be a jack-of-all-trades in order to create solutions to problems and the infrastructure to make it all work. “We designed an electronic health record system that is used by healthcare workers while seeing patients, and in the process we realised that we not only had to design the software, we had to implement the infrastructure as well,” he said, according to TED. Mumba and his team came up with algorithms to estimate birth dates for those who did not know theirs, guidelines that assisted overworked nurses and clerks with their workloads, a landmark system to approximate physical addresses for those living in slums, and a bar-coded identification system to assist with record-keeping. They then re-purposed touch screen point of sale terminals that were meant for retail stores, to become clinical workstations. After modifying internet appliances to run on battery during power outages and have touch screen capability, they realized that the internet was simply not reliable, so they built towers and a wifi network to put the necessary infrastructure in place and link clinics across Lilongwe, Malawi’s capital. “Now, healthcare workers who used to spend days to tally and prepare quarterly reports, are producing the same reports within minutes, and healthcare experts from all over the world are now coming to Malawi, to learn how we did it,” he said proudly. “To make them (technology trends) work in low resource environments, like public hospitals in sub-Saharan Africa, we have had to become jacks of all trades and build the whole system, including the infrastructure from the ground up,” he concluded. With MAREN set to connect to UbuntuNet network, developers like Soyapi Mumba will not only be assured of reliable Internet connectivity for their research, but also assurance of technical support in deployment of services and Infrastructure crucial for their landmark innovations.